The testing is made for golfers at all levels. 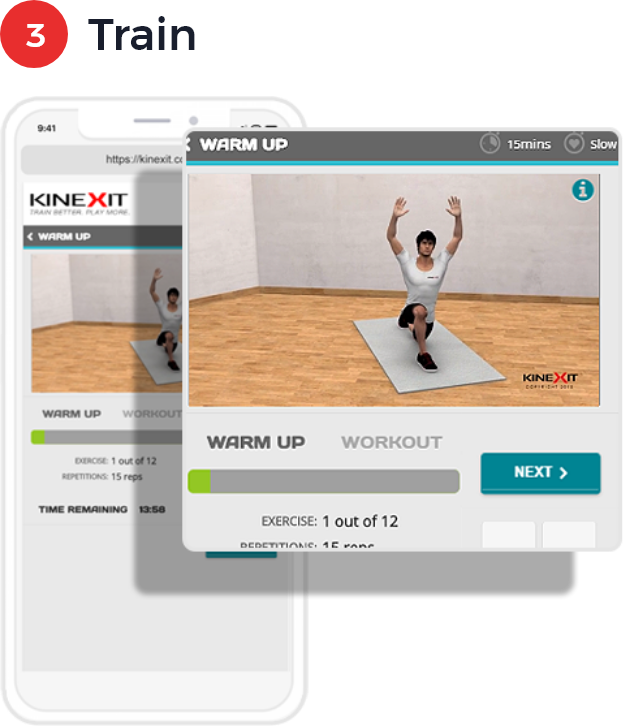 You can customize your training with Kinexit’s self-testing designed to find and remove your body's restraints. Your tests consist of a combination of flexibility, strength, speed and endurance. You don’t need to complete all the testing, but a minimum requirement is flexibility. All you need is a wall, a measuring tape and 15-minutes. 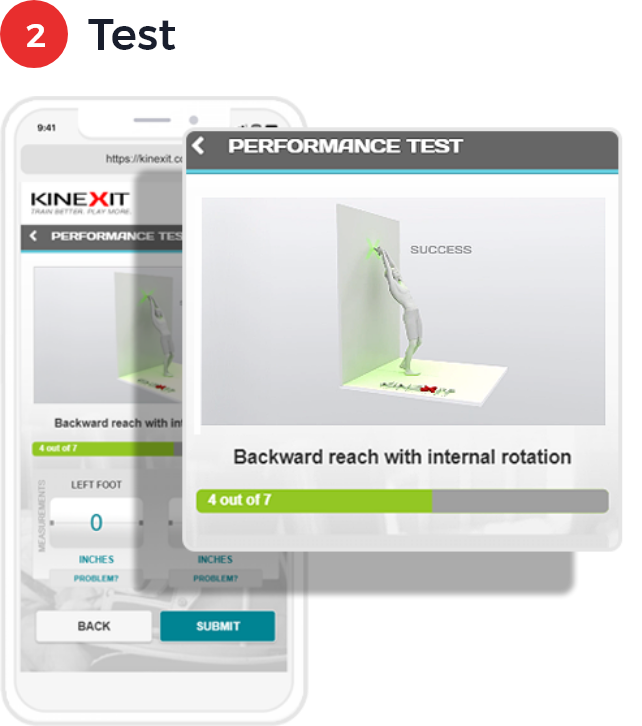 When your testing is complete Kinexit will give you immediate feedback on the areas in which you can improve. We offer a safe and fun way to train, either at the gym, at home or on the course. Kinexit covers all the areas that you need – from specific pre-round warm up routines to full-body workouts. 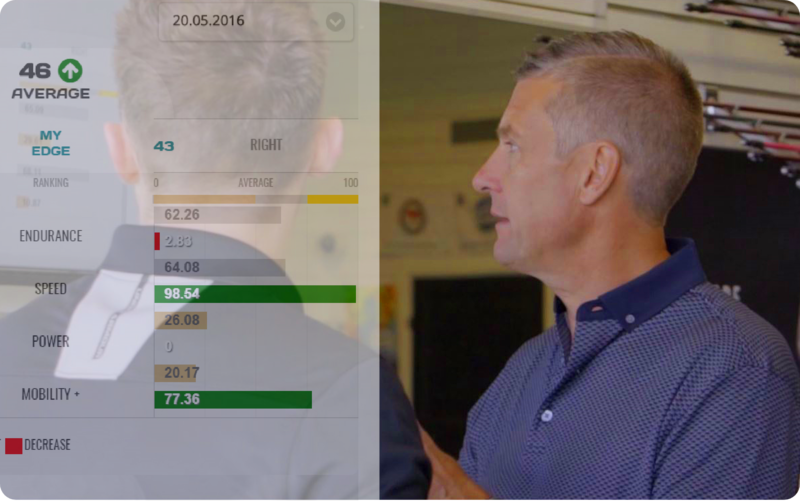 Kinexit has a unique dashboard that allows you to team up with your golf coach. 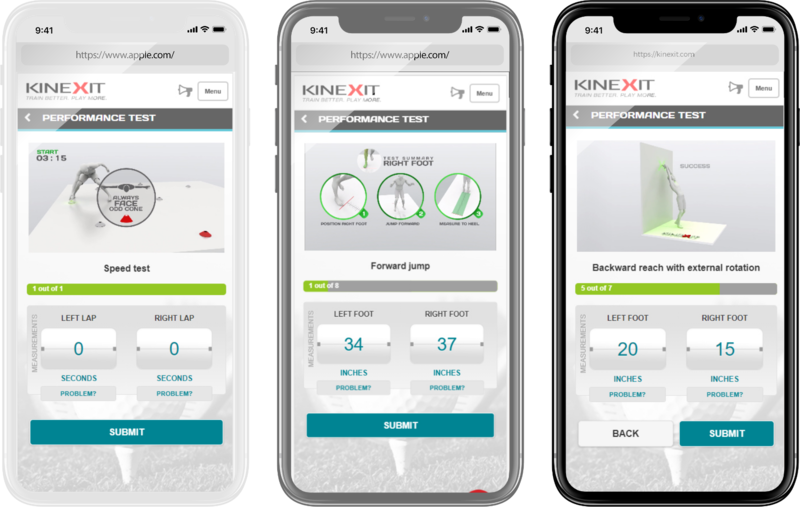 The dashboard allows your coach/trainer to send you specific golf-related exercises to help grow your golf game with Kinexit. 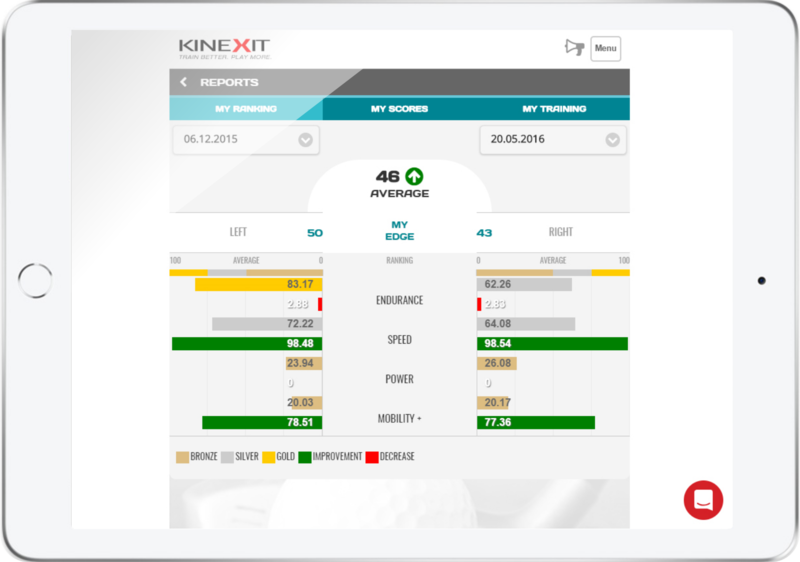 Kinexit has helped thousands of golfers grow their game. Become a member and unlock your full potential! 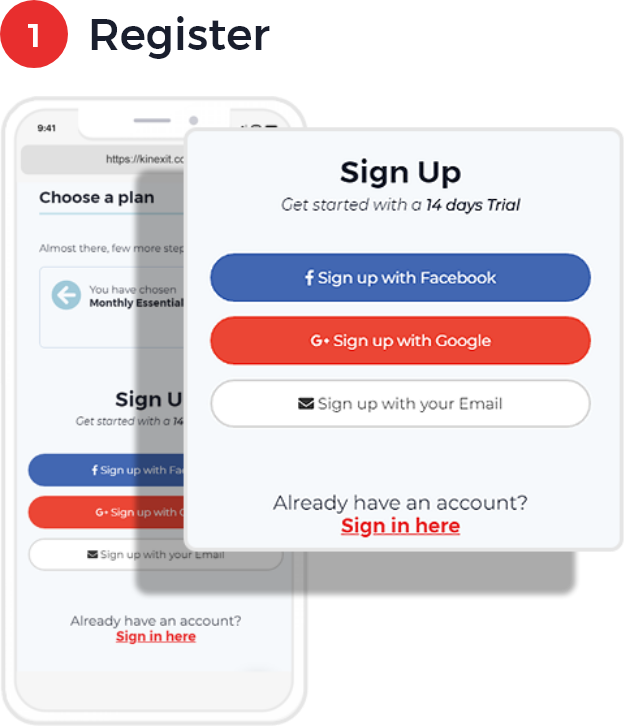 Kinexit is simple and easy to use. Just Test, Train and Improve.